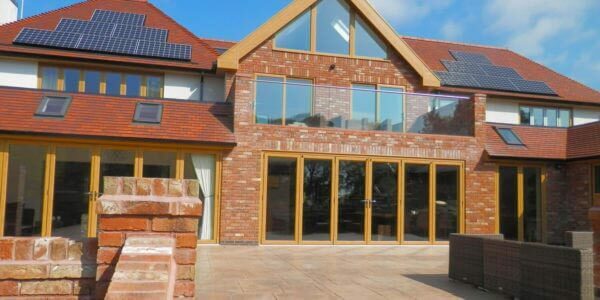 Whether it's a simple rectangular piece or a complex shaped, coloured glass panel – we can do it all, and everything in between! No matter how ambitious your project, we've got the skill and experience to achieve the look you desire. We can make glass shelving, mirror glass and splashbacks for any room, and can supply a whole host of fittings and sundries too. 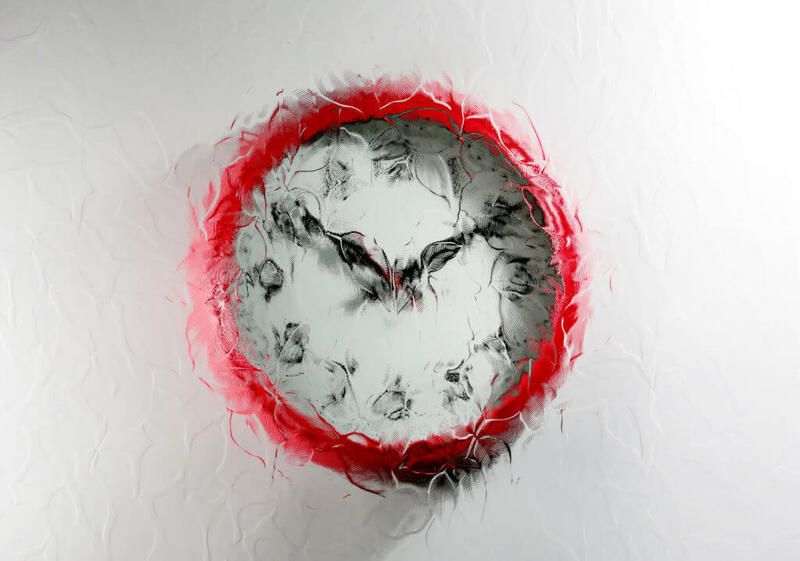 A lot of our glass cutting services can be done while you wait. We can also replace broken single and double glazing in your home. Our range of glass types has to be seen to be believed. From treated glass to featured glass and everything in between. We can supply products & services at a range of prices to suit your budget. Here at KLG Glass, we process and cut glass to size for any application. From simple rectangular pieces of greenhouse glass, to complex-shaped and coloured glass panels to cover a whole wall. We can provide cut-outs in the glass for electrical sockets, holes that are square, round or anything in between. We also do glass UV bonding too, enabling us to produce free-standing glass shapes such as glass tables and glass cabinets in any colour. 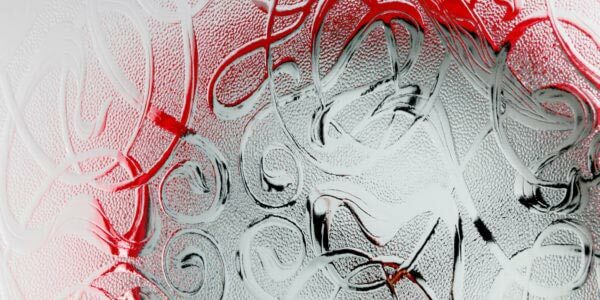 Our sandblasting service enables you to have either simple opaque glass or patterned glass. You can even have your own logos or designs sandblasted onto the glass – Ideal for shop windows, doors and many other applications. 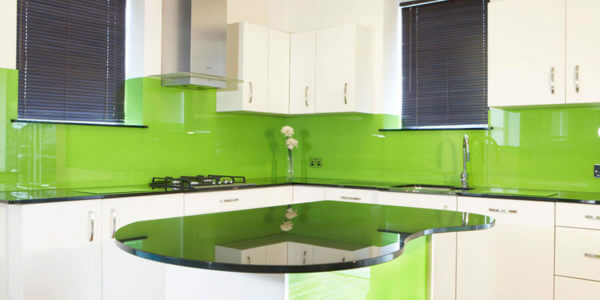 One of the best selling glass products for this year is glass splashbacks. 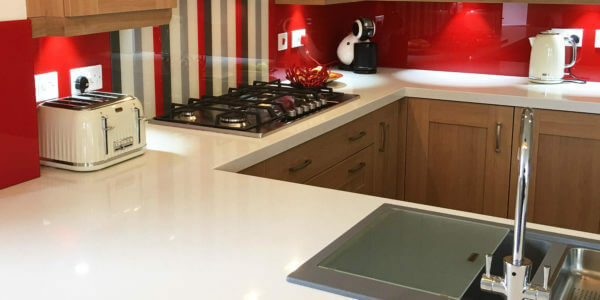 Contemporary kitchen designs often use glass splashbacks to create a deep glossy finish to areas that are often tiled in traditional kitchen designs. Continuing with coloured glass panelling theme, there is currently a popular trend of using coloured glass panels on walls in bathrooms, too. In addition to providing an easy to clean and attractive surface, the reflective nature of the coloured glass panels also add an illusion of space and the glass can make a small bathroom feel considerably larger than it really is. Mirrors are a speciality of KLG Glass. 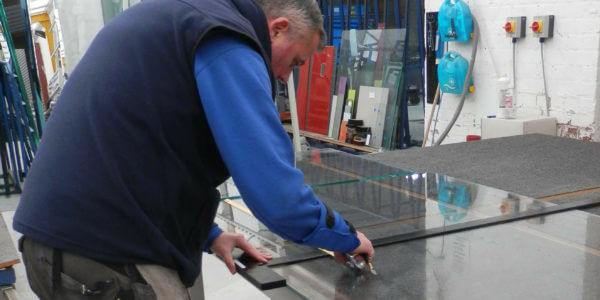 We can supply custom sized, shaped and drilled mirror glass to replace broken or corroded mirrors you may already have. 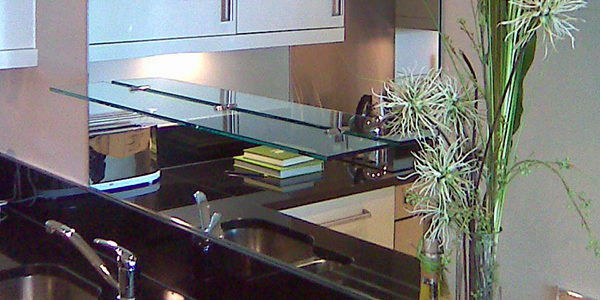 We can also produce many contemporary mirror glass designs to match your modern living space. 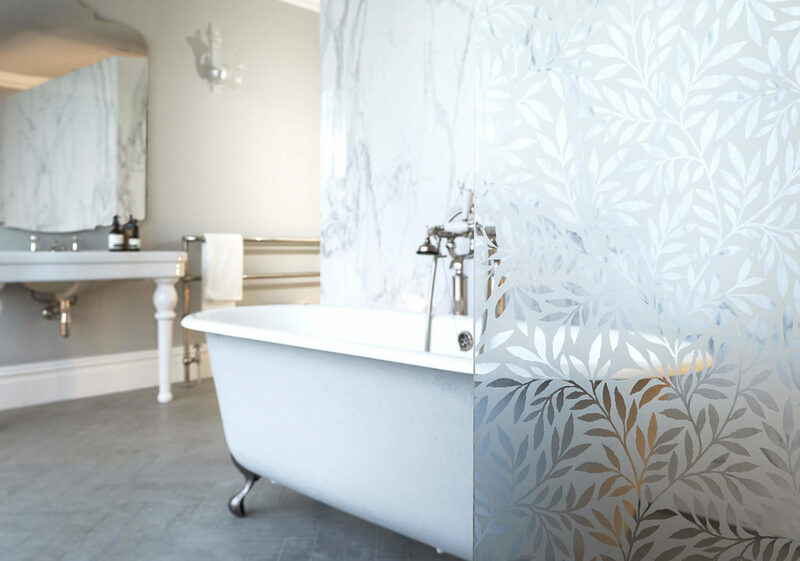 With the help of our complex machinery, we are able to create etched mirror designs, bevelled edges and every other design variation you might be able to throw at us. Thank you again, for your assistance and service. We would highly recommend your company to others. Thank you very much, and a special thank you to Phil who was great and a real credit to your company.